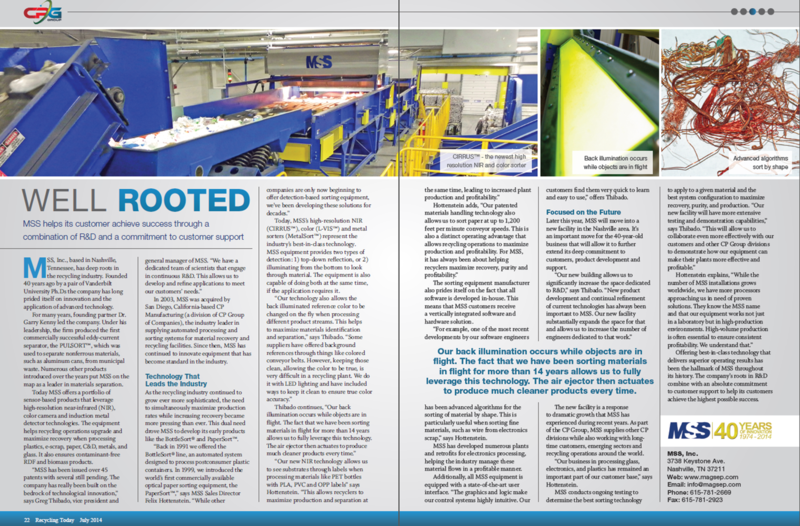 MSS Optical Sorters Featured in Recycling Today July Sorting Equipment Issue | MSS, Inc.
MSS offers a portfolio of sensor-based products that leverage high-resolution near-infrared (NIR), color camera and induction metal detector technologies. The equipment helps recycling operations upgrade and maximize recovery when processing plastics, e-scrap, paper, C&D, metals, and glass. It also ensures contaminant-free RDF and biomass products.